Looking for a fast-growing, dense, low maintenance groundcover? Juniperus tamariscifolia, or Tam Juniper, is a good choice for its graceful shape and low, wide growth habit. Plants sport deep emerald-green, scale-like foliage that spreads densely and symmetrically, creating attractive green mounds. Because of its preference for drier, well-draining soil, plants are best suited to areas of the landscape that don’t often see much maintenance or extra irrigation, such as sloped hillsides, easements, parking lots or area that need erosion control. Rock gardens and Asian-styled landscapes are also excellent settings for Tam juniper. Plant in well-drained soil as it can be susceptible to root rot. 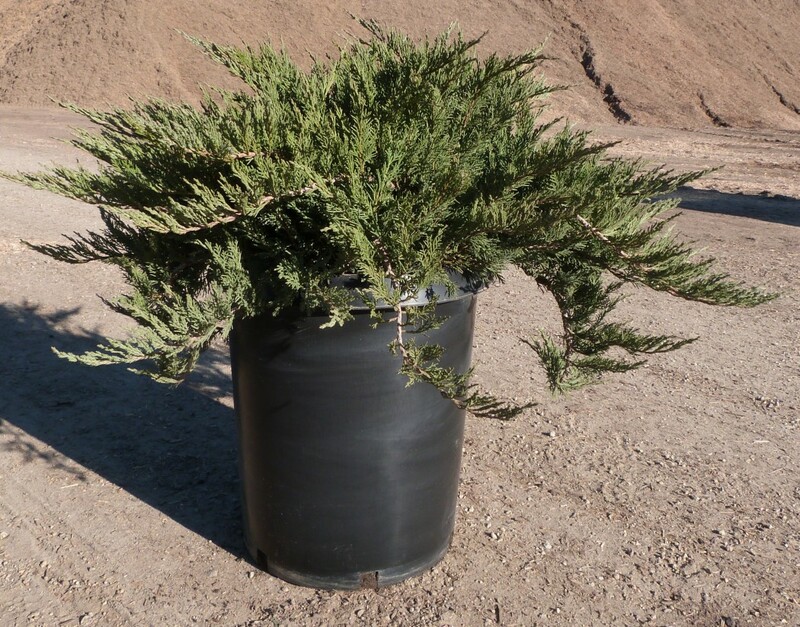 While hardy in a variety of climates, this juniper is well-suited to areas with warmer winters. Excellent for planting in retainer walls or raised planters.